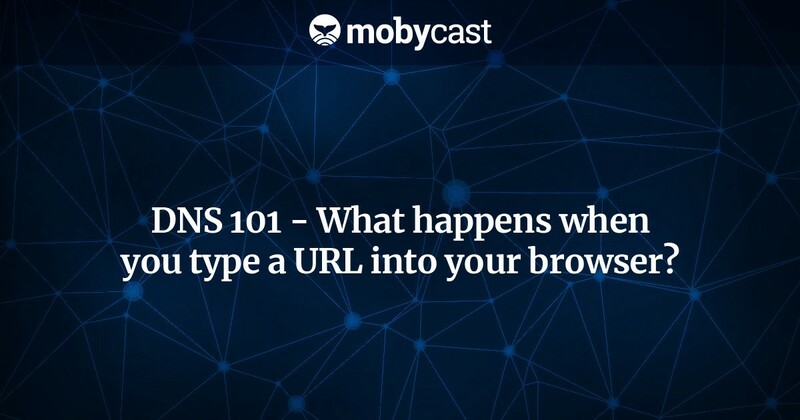 Today, we’ll talk about DNS. What happens when you type in www.kelsus.com—go ahead and type it in now — into your browser. For me, another thing that’s pretty important is because this is used constantly, anytime you’re making any kind of network request or what not — you’re probably doing a DNS lookup to say, “Given this hostname, what is the IP address?” — in order to increase performance, lots of caching involved. Caching’s really good here because, for the most part, these addresses are not changing very frequently. Even if you have something or you’re using some […], they’re just not changing that frequently. Caching comes in to play heavily. Jon: Right and with TTL, the thing I like to think about is TTLs and caching are why DNS propagation is different for different people in different locations. You change the domain name, you update it maybe on GoDaddy — if you’re unfortunate using GoDaddy — and then again maybe change, “Oh yeah. I’m seeing it. Yup. There’s the change,” and your friend who’s on the other side of the world is like, “I’m still not seeing it.” It just could be because they are hitting a DNS server that cache that address more recently than the one that you are using. As always, you’re to assume that some DNS server out there, just moments ago, cached the address that you’re about to change, so you’re going to have to wait the entire TTL before everybody is up-to-date. Jon: I think the thing that almost goes without saying, but I’m just going to make it really explicit, is that when you type in www.google.com into your browser and you’ve never done that before — it’s not going to cache IP address or anything that’s ready to use — it’s going to go look up that name using the almost a distributed micro service that gives you back that name, it has to do that whole request before it even starts to load the Google page. Everything you ever do is to request and not just one. Jon: Right and you mentioned the tool. I think it’s worth it for anybody who’s never done that before, if you have a Mac, which most of you do — just guessing — just go to the terminal and type dig +trace domain-name. It could be www.kelsus.com, or it could be mobycast.fm, or it could be google.com or whatever, and then just look at what comes out. It comes out in steps, there’s a lot of information there, and it’s worth checking out. It starts to uncover the complexity that Chris was talking about. Jon: One of the things that I used to wonder about in the beginning of my career when I thought about DNS is, if an A Record points to an IP address — an IP address is just a single machine — and you’ve got a really big service, like at the time maybe it was Yahoo!, how can that single machine handle all that traffic?